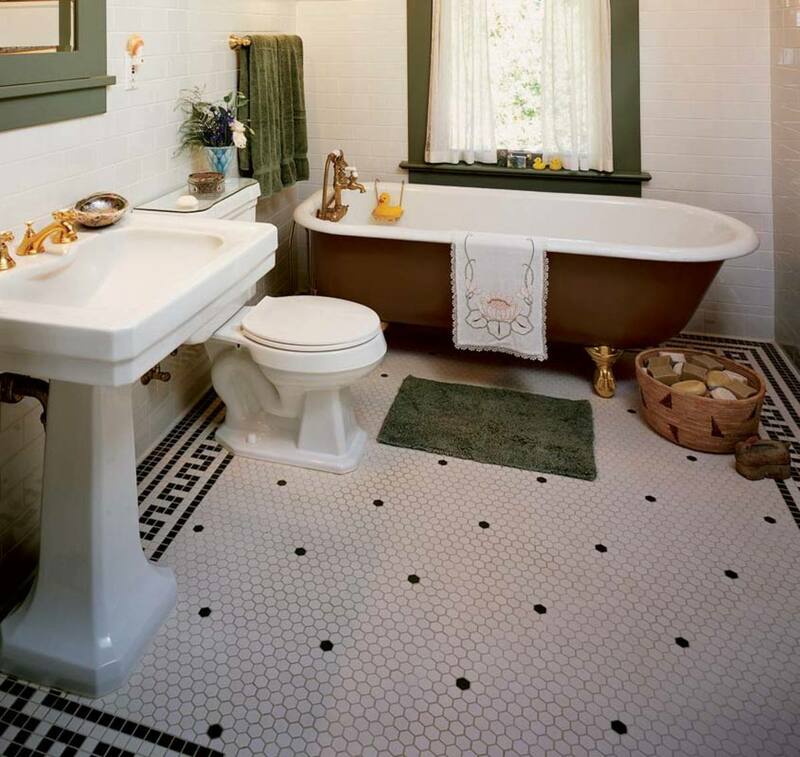 Small hexagon-shaped floor tiles are a bathroom standard; note the Greek key border in square mosaics. The standard for formal rooms public and private, wood floors suggest durability even as they convey understated beauty and depth. Slate and limestone create drama in a foyer or bath. For practical durability and virtually limitless color choices, you can’t beat a resilient floor in the kitchen or family room. 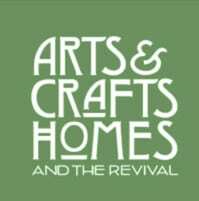 For Arts & Crafts homes built at the end of the Victorian period and into the 20th century, all of these alternatives are appropriate. A plank oak floor with a tung-oil finish made by Sutherland Welles. Thanks to reclaimed wood from abandoned factories and barns, remilled floorboards full of character are still available from specialty lumber companies. Reclamation means you can get species tapped out a century ago, including longleaf heart pine and chestnut, without a single new tree being harvested. 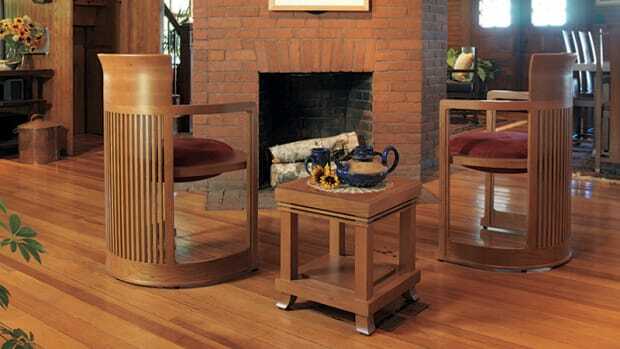 It was in this period that hardwood strip flooring became popular, with boards usually measuring about two inches wide. 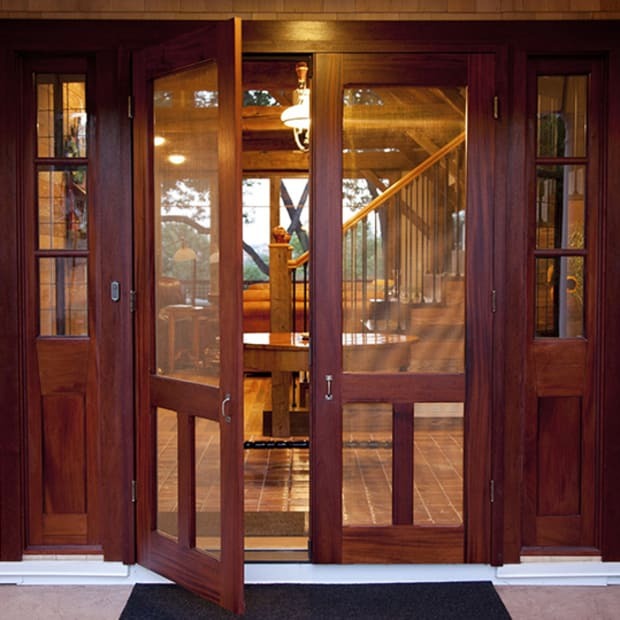 These are edge-matched boards in durable woods such as maple and oak, as well as heart pine. A new option—the engineered floor—can give the look of either strip or plank flooring at far less cost. An engineered floor is actually a composite: layers are bonded together to form a dimensionally stable “board.” The top layer is usually a thin slice of hardwood. Engineered floors are ideal for overlayment on a vinyl or concrete floor. 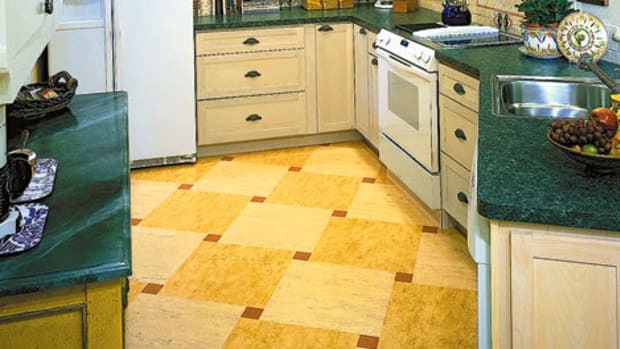 ABOVE: Cork, rubber, commercial vinyl tile, and true linoleum all make traditional floors that are easy on the feet. 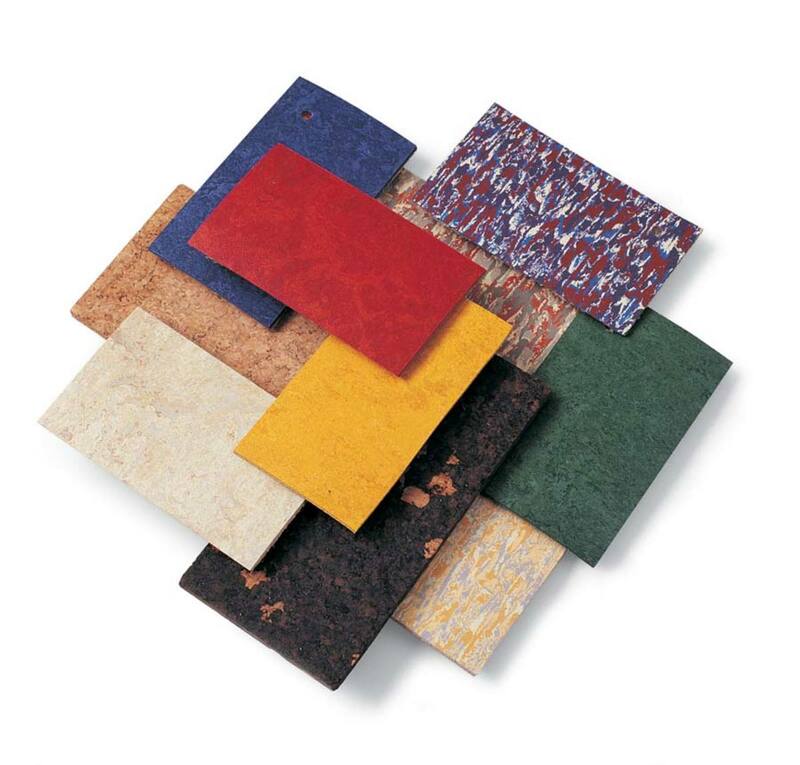 Resilient, nonabsorbent, long-wearing flooring materials have the ability to “bounce back” from spills and abrasions. An amalgam of ground cork and linseed oil, linoleum is a great (and historic!) 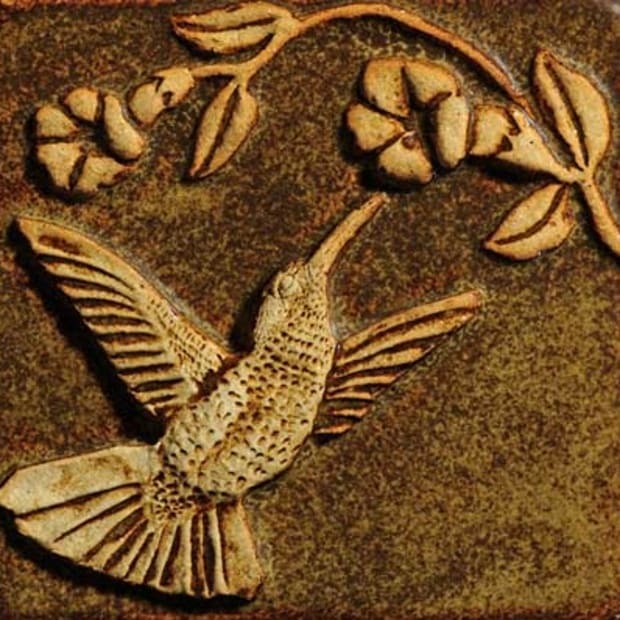 medium for inlaid floor patterns in jewel-like, speckled Jaspé patterns. Although today’s rubber flooring is sold in sheets and tiles primarily to the commercial trade, it too lends itself to inlaid patterns and designs. 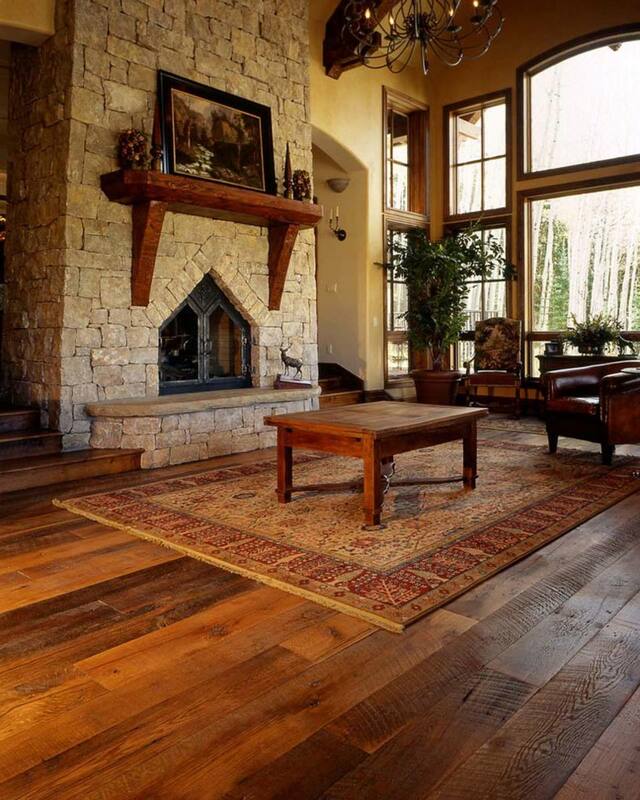 Cork is a luxurious, easy-on-the-feet flooring material, perfect for a later house. 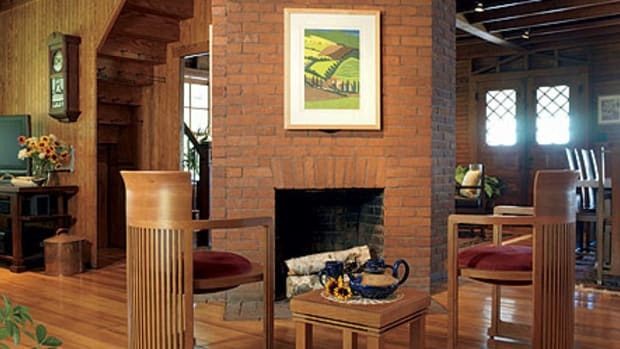 (Cork tiles can be laid in a checkerboard to mimic earlier styles for, say, kitchens.) And vinyl tile, ubiquitous since the 1950s, is an extremely versatile medium. 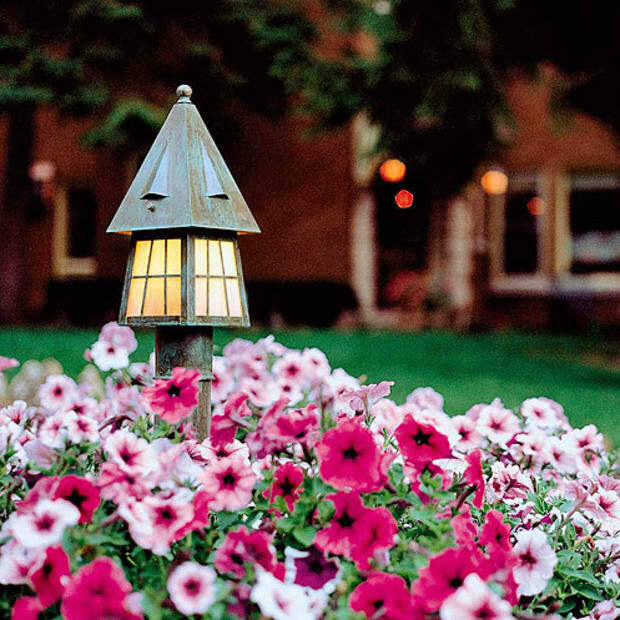 Check out commercial vinyl for more traditional and long-wearing designs.